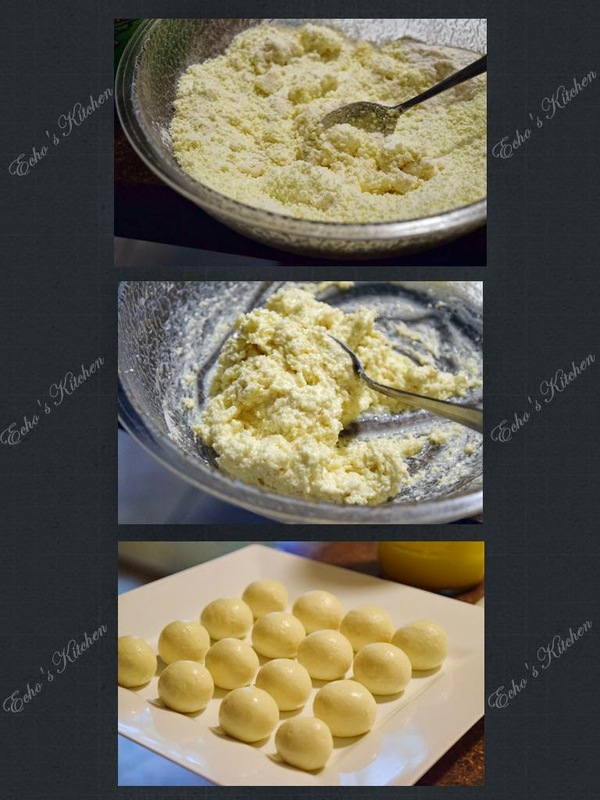 With Diwali (the Indian festival of light) being tomorrow, I had gear up on preparation and made a few sweets today. One of them is this Gulab Jamun. 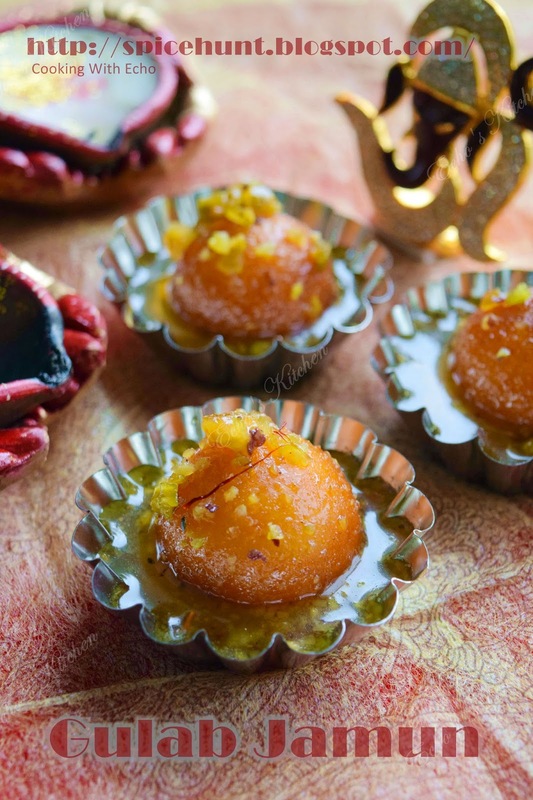 It is a very popular Indian/Pakistani/Nepali/Arabian sweet dish, most often eaten as a dessert, and usually eaten at festivals or major celebrations, such as marriages and Diwali. 1. In a mixing bowl, knead together milk powder, self raising flour, baking soda, ghee and yogurt into a soft dough, use spatula to do the kneading as the dough could be quite sticky, you do not want to over knead the dough, as long as the ingredients are able to hold together, you are ok.
2. Cover the dough and leave it aside for about 10 minutes. Grease your hand with little oil, and divide the dough into 15 equal parts and roll them into small balls. 3. 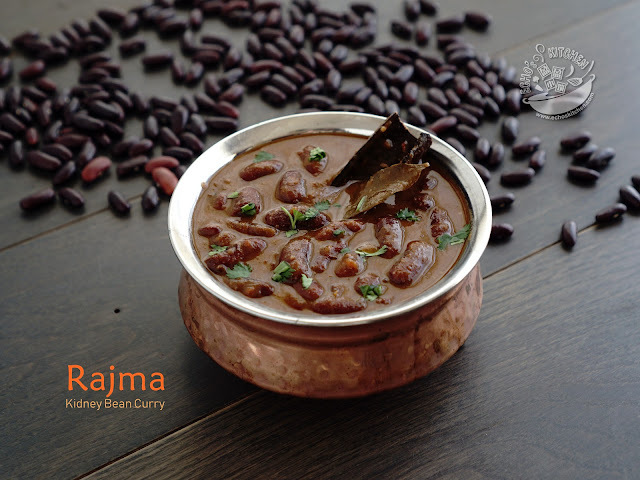 In a cooking pot, pour-in sugar, water, saffron and Cardamom powder, cook at medium heat and keep stirring till the sugar dissolves completely, let the syrup simmer for another 10 minutes. 5. Turn the heat to low and fry the balls in batches, 4-5 pieces at a time, keep stirring to make sure even browning. Do stay in front of the stove and do not go anywhere as this fry pretty fast and can get burned if not watch closely. 6.Place the fried balls into the hot syrup, the balls should sit in the syrup for about half an hour before serving. 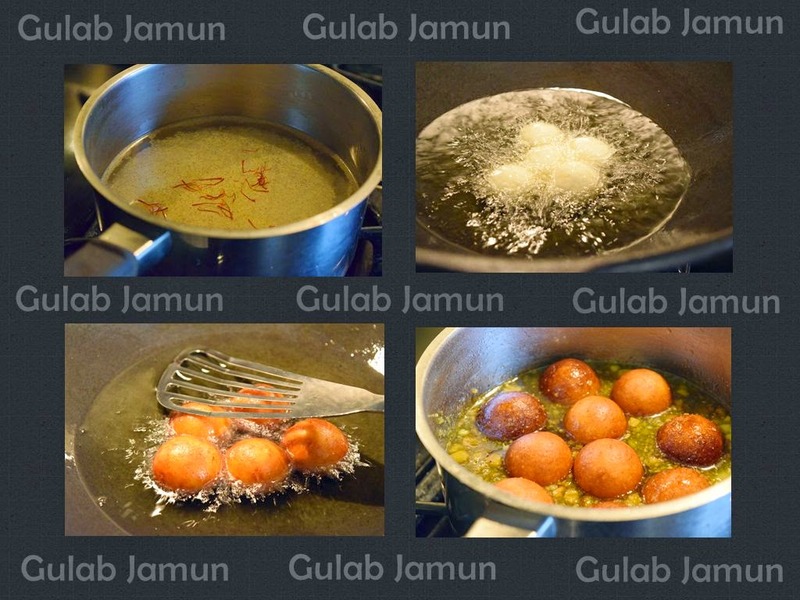 Gulab Jamun is normally served warm, so if you do not plan to eat it right away, heat up in microwave for about 30 second before serving. Once again! 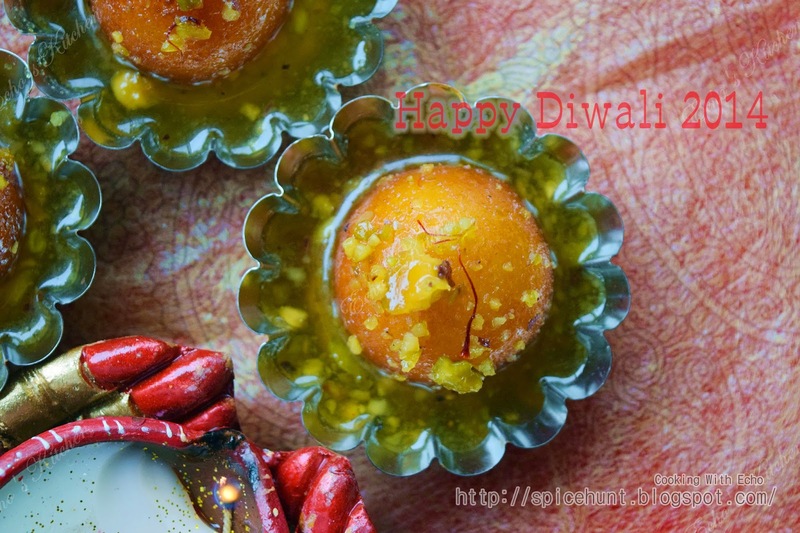 Happy Diwali to all my readers and friends!